Hi Fluffy Kitty friends! Today we are excited to present you with a very unique post! We are writing about a subject in which we have become more or less “unprofessional experts” in. 😉 That is to say that we’ll be writing about castor oil for cats! I blog about castor oil over at Castor Oil guide and so today I’m combining these two blogging topics of ours to create this special article: Castor oil for cats. 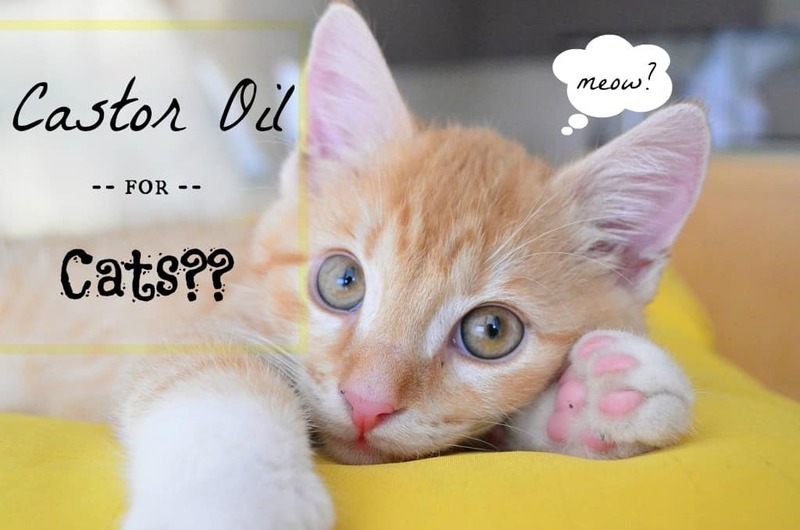 Castor oil for cats might seem like a totally bizarre idea, I thought exactly the same.. but is it? You may have heard of castor oil before as it’s very popular for being known as a laxative when ingested internally (which by the way, we do not recommend!! 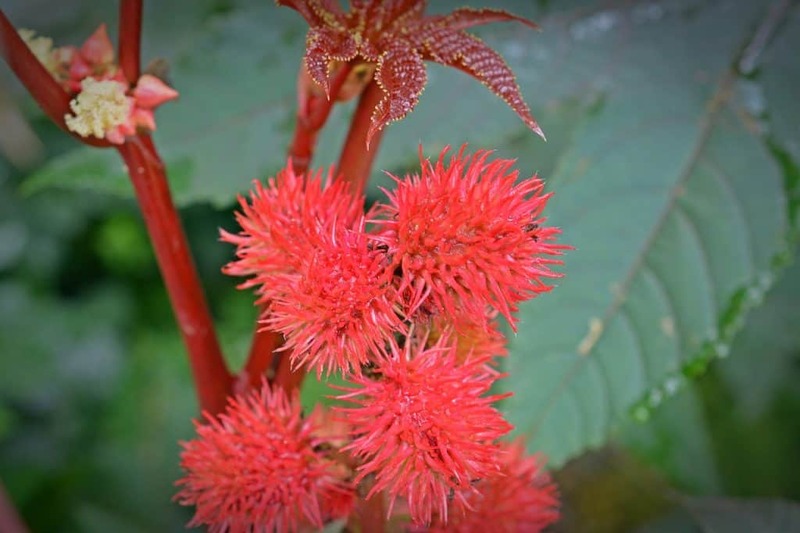 ), and when applied topically, castor oil is especially effective for the rapid growth, thickening, and strengthening of hair, lashes, nails, etc! Beside from all the fabulous qualities that castor oil has for humans’ beauty and health, it is important to know that castor oil can be dangerous as it is a very powerful laxative. Ingesting castor oil (even a small amount, such as a teaspoon) can have serious effects on your body. It would be equally dangerous, therefore, to give your cat castor oil. If you’re reading this article, chances are you have heard of castor oil before and are wondering if you can give your cat castor oil to cure his or her constipation. We are not health professionals, nor are we trained vets, but we have done a considerable amount of research about castor oil and thus our general consensus and advice is: your cat should not ingest castor oil. If you have any urgent concerns, we recommend contacting your veterinarian. As aforementioned, castor oil isn’t known just for it’s laxative properties. It is widely and popularly used for smoothing irritated skin, acne, or other skin-related health or beauty issues in humans. There are alternative natural oils that are less powerful and much safer that you could use to treat your cat’s itchy, flaky, or dry skin. Start with either one of these oils. You can apply these natural oils to your cat’s dry skin without worrying about them ingesting some while grooming. Coconut oil and olive oil are safe for your cat to ingest. –> Apply topically, or mix with your cats dry or wet food, but not more than a teaspoon per day. And guess what! These oils are also effective, safe alternatives if ever your cat has trouble using the litter box. Other then wanting to treat your cat’s dry skin or constipation, we do not see any other reasons why it would be a good idea to use castor oil for cats. 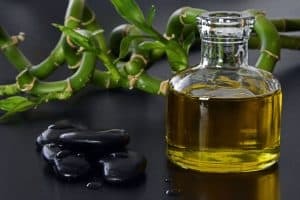 Save the castor oil for your hair or skin, and use safer, non-toxic oils like coconut oil for your cat’s skin, and olive oil to help with constipation. There are alternative, safer methods to cure your cat’s constipation than using castor oil. Before treating your cat for constipation it’s best to determine if your cat is indeed experiencing some constipation at all. The following advice for relieving your cat’s constipation is only useful for minor cases. If your cat has been constipated for more than several days, take them to the vet right away. Check for these signs. If signs persist or worsen, contact your vet. 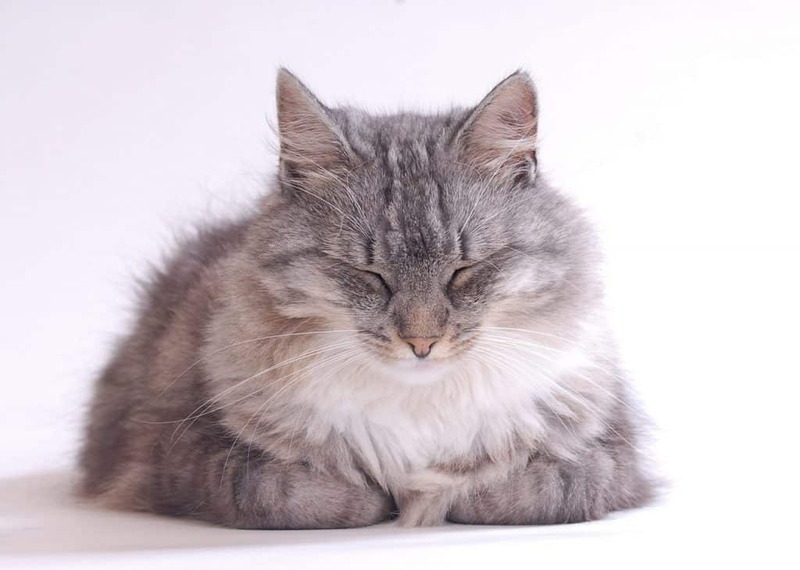 In any case, it is wise to contact your vet in case of constipation to determine whether or not your cat’s constipation should be treated via medicine (stool softener, etc.) 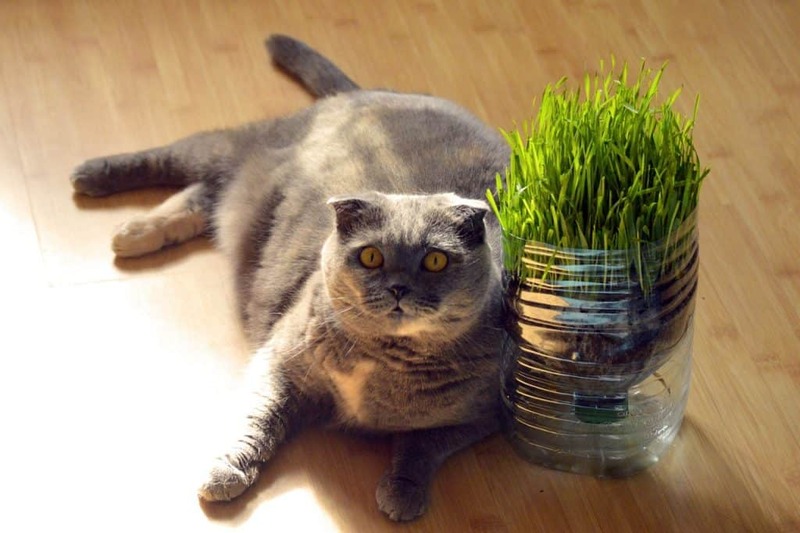 or treated with natural methods, such as adding lots of fiber to your cat’s diet. If your cat has repetitive or chronic constipation, it is best to consult your vet for the best treatment method. However, there are daily tasks you can do to help your cat from becoming constipated in the first place. Make sure s/he is well groomed: Cats can suffer from constipation if they ingest lots of hair during grooming. It is also possible to use a hairball remedy for long-haired cats. Make sure there is plenty of fresh water: The intake of moisture is very important for your cat’s health. Provide a kitty fountain if your cat is more attracted to drinking from running water. You can also switch to a wet canned food diet to add the extra moisture in their diet. Make sure the litter box is always clean and fresh to use: A clean litter box encourages cats to use it without worrying about literally stepping in their own sh*t. 😉 I know I appreciate a clean toilet! We hope you can take away lots of useful information from this article about castor oil for cats. In summary, we think it is best to avoid giving castor oil to your cat. There are plenty of alternative natural methods that can alleviate your cat’s constipation or dry skin. If ever you are concerned for your cat’s health, never hesitate to contact your vet. Can Cats Drink Vinegar? Is It Safe or Toxic? Previous Post My Cat Is Breathing Fast: What Should I Do? I read where castor oil is an effective topical treatment for feline acne? I have tried everything (including coconut oil) to no avail, I tried the castor oil and found that it is effective in cleaning the tiny blackheads off of the fur (it seems almost impossible to get those wiped off) it seems to dissolve the blackheads more than anything else I have tried. I clean the chin with soapy warm washcloth. Then I rub in the castor oil with a cotton ball, and then clean off as much as possible with another (very) warm washcloth, and repeat. I realize they may ingest a small amount if they work hard at cleaning their chin, but have had no bouts of diarrhea yet! However the acne soon returns if you don’t keep up the treatment, so it is not a cure but it sure helps in cleaning and is supposed to have antibacterial and antifungal properties which is beneficial with skin problems! Hi Kathy! Thanks for your message and for sharing your story. Castor oil would definitely be effective here. Just as you mentioned, it’s very rich in ricinoleic acid which is a super fatty acid with antibacterial and antifungal properties. We have not written about cat chin acne, but we will within the next two weeks so make sure to check back around with us. It is very uncomfortable for kitties and we’re happy to hear you are doing a great job washing your cat’s chin correctly. If the cat chin acne persists for more than a week, you should consult a vet. They may recommend including a benzyl peroxide treatment with antibiotics to prevent infection. And you definitely want to avoid infection! Until then, the castor oil warm washes will gently clean the cat’s chin and should help to avoid infection for the moment, but we would recommend seeing a vet for proper medical treatment. Thanks again and best of luck!